Small businesses never had it better, especially with Adwords Express service from Google; they have found the best way to promote their Google + pages all over the Internet. They can now make their presence felt and increase revenues for their online marketing business. The great thing about Google Adwords Express is that it has no limits to the way that it can be customized. You can deploy your own keywords, target audience, and build communities for your niche. You also have access to Google Analytics that keeps you updated on the latest in the search engine scenario. With Google’s search spiders crawling the web all the time, you get updates as and when the metrics change. You also get the added benefit of page ranking that makes all the difference for online marketers today. Google has done extensive research before putting into position the simple and user-friendly version of Adwords Express service. The moment your business has a Google + Page, you can commence the designing that is required for the ad campaign. Considering the nature of your business, Google will go to the extent of suggesting appropriate keywords that will generate better search results and drive more traffic to your website. Your Google Adwords campaign will be directly linked to Google + Local, hence the audience that you have in mind is captive, and tapping potential customers for the particular genre of business that you are in becomes rather easy. All you need to do is decide on the budget and leave the rest to Google, who offer a turnkey solution. The beauty of Google Adwords lies in its simplicity and reach. With Google willing to take complete charge of all your ad campaigns, there is hardly anything left for you to do other than wait for the targeted audience to respond. You do not even have to know much about the intricacies of online marketing. Everything works like clockwork and to your complete satisfaction. People may have shied away initially, thinking that online marketing is a slow process that requires immense capital outlay, what with having to pay professionals to take care of the Ad campaigns. 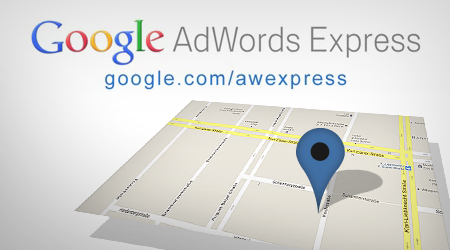 When you go through Google’s Adwords Express, you are at the forefront of all searches in your niche of business. Google Places will ensure that you always figure at the top during any search that is initiated. Adwords was designed for small businesses, which is the best marketing tool available today. It is so simple and easy to understand that even a novice will get the hang of it very quickly. The ‘learning curve’ as it is called is simplified to such an extent that it is your best bet for leveraging searches for specific areas. Once you get the feel of it and become comfortable, you can think of becoming more sophisticated and move on and start using Adwords (traditional). It is the best solution for all the small businesses of today, that are more like one-man shows that have a lot time constraints that do not permit the owners to concentrate on managing the tricky online business. Overall, the small business owners have a great thing going, what with Google’s ambitious plans to incorporate many changes in the coming months to further enhance Adwords Express. The local listings are set to get better and more detailed. The small businesses can now build their own communities, create distinct identities, and build lasting relationships. Sharing has been better enabled and PPC or pay per click campaigns are going to work out even more profitably than it ever did in the past.